It is a rare exception to find a show that accurately depicts the joys and sorrows of a relationship. The exception to this rule is The Last Five Years. Written and composed by Jason Robert Brown this show chronicles the ups and downs in the relationship of Cathy Hiatt and Jamie Wellerstein. Set in New York city, this show has a unique twist, Jamie tells the story of their relationship from first date to break-up, while Cathy revisits the relationship from break-up to first date. As the newest professional theatre company in the Twin Cities Flip Theatre Co, picked the perfect show to announce their arrival on the scene. Plus, the Minneapolis Theatre Garage is the perfect venue for this intimate show. Bobby Gardner is perfect for the role of Jamie. He plays the role very quirky and goofy, which works. From the beginning he comes off as a guy in a new love. As the show progressed the quirky and goofiness plays into the inflated ego his character develops. His voice reminds me of Norbert Leo Butz who played Jamie in the first production in 2002. Especially on the songs “Shiksa Goddess”, “Moving too Fast” and “The Schmuel Song”. Britta Ollmann’s Cathy shines. She moves from heartbroken to a woman full of hope for the future at the end of her first date with Jamie. Her voice shines on “I am a Part of That”, “A Summer in Ohio” and “I Can Do Better Than That”. John Lynn did a terrific job directing this show. His vision for this show translated into a gorgeous production. Musical director Jason Hansen and the full band were beautifully placed upstage of the action. Sometimes having the band on stage can be a distraction, but this is not the case. The simple set of two NYC stoops and hanging open picture frames are the perfect backdrop for this simple, yet emotionally deep show. The Last Five Years, is a show that isn’t widely known. But those who have had the chance to the show or listen to the cast recording love it. Do yourself a favor and go see this show. The music is gorgeous and emotional. The acting is top notch. The directing, scenic design, music direction and costumes are rich. The story is emotional, deep and thought provoking. 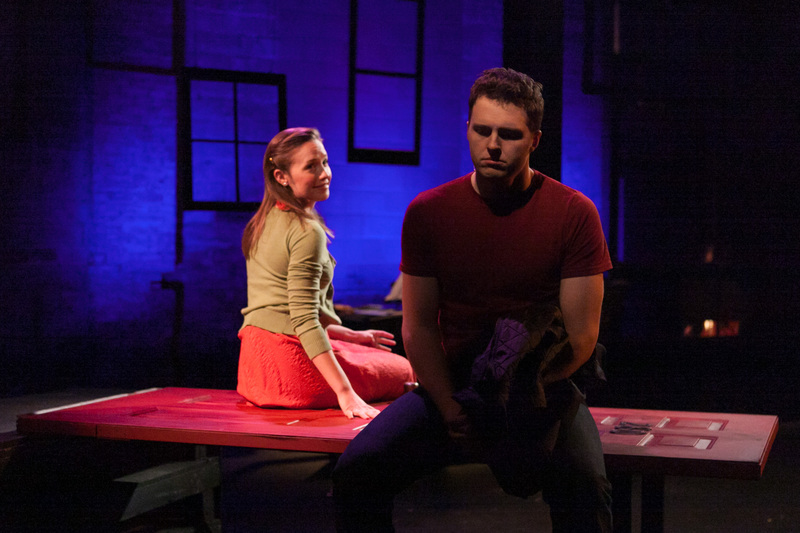 The Last Five Years continues at Minneapolis Theatre Garage through November 10. For more information on the show or to purchase tickets, visit Flip Theatre Co’s website.